Ideally located in Covington, KY, the Cincinnati Marriott at RiverCenter is connected to the Northern Kentucky Convention Center making it the perfect hotel for business travelers. With 13,000 square feet of flexible event space and 8 meeting rooms at Marriott RiverCenter and 110,000 square feet of event space and 17 meeting rooms at the Convention Center, we raise the bar for meetings and events in Northern Kentucky. In addition to meeting space, we have luxurious rooms that blend style and comfort. 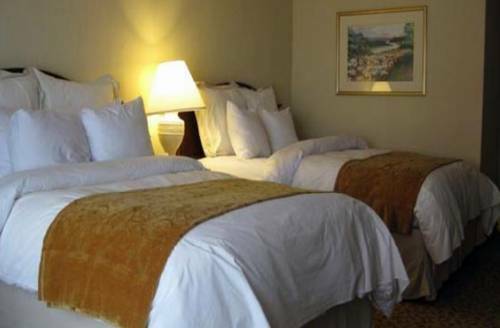 Rooms include a flat-screen TV, well-lit work desk with ergonomic chair, and a coffeemaker. Some rooms also have a balcony and views of the Downtown Cincinnati Skyline. Grab a meal at our river-view restaurant 10 West, enjoy a drink at the atrium bar, or get a workout in the fitness center and indoor lap pool. Just a short walk across the river is Cincinnatis most exciting dining and entertainment venue, The Banks Cincinnati including Paul Brown Stadium and Great American Ball Park. 10 WEST: A stunning environment, highlighted by spectacular views of the Ohio River, this Cincinnati restaurant offers a captivating menu which features regional specialties and friendly service, beautifully combined to offer a delightful dining experience. Patio at 10 WEST-Seasonal Dining: The Patio at 10WEST provides a relaxing atmosphere on the large balcony overlooking the Ohio River. Sit around a fire pit and relax with a glass of wine and great regional fare. Bar at 10 WEST: Located in the heart of the Atrium Plaza, this downtown Cincinnati restaurant and bar is positioned on the first floor of the World's Largest Gazebo. Guests can relax with great food and drinks, all while enjoying the large screen LCD television.